Worldwide demand for market pulp is forecast to rise 5% in 2018 and nearly 2.5% in 2019, as a relatively strong global economy and China’s aggressive import policy changes in the recovered paper sector drive additional demand for virgin pulp, RISI’s VP of fiber economic analysis David Fortin said in a recent presentation. The global pulp market, which has stayed hot in terms of high pricing for most of 2018, will reach a relative balance in the fourth quarter as Chinese pulp demand eases due to oversupply in paper and board. However, conditions will tighten again into 2019 with capacity expansion slowing and demand tracking higher on continued economic growth, Fortin added. “Demand is growing (roughly) 3% per year while supply is rising 2% per year, so that’s a positive sign. But when you add unexpected downtime – barring an economic drop or Chinese reversal – the market should grow tighter,” Fortin said during RISI’s 33rd Annual North American Conference in San Francisco on Oct. 11. Impact: 1.5 million tonnes. In a poll of a dozen market participants by PPI Pulp & Paper Week in May, sources estimated that figure at anywhere from 1-2 million tonnes/yr (P&PW, May 11, p. 1). Fortin’s estimate is around the middle of that range. “Our current estimate is that it has resulted in a bump of 1-1.5 million tonnes of additional demand over and above underlying demand over 2017-2018,” Fortin told P&PW after his presentation. 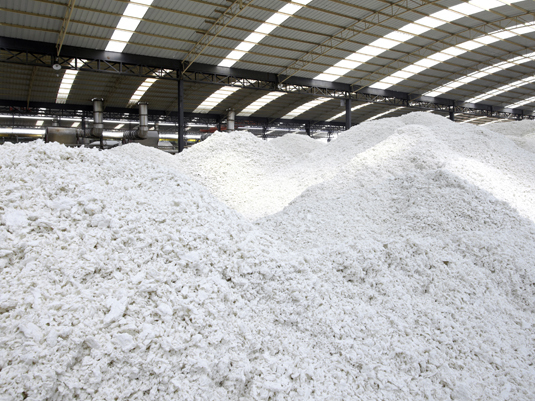 “Further gains are likely to be marginal due to the much higher price of virgin pulp compared to even the elevated domestic (recovered paper) prices in China,” Fortin said. A swing to virgin pulp consumption led to bigger gains in unbleached kraft pulp (UKP) and bleached hardwood kraft (BHK) grades, Fortin said. In his conference presentation, he noted that when China began reducing recovered paper import licenses and buying in 2017, it immediately led local northern bleached softwood kraft (NBSK) market pulp prices to rise, even though it’s not necessarily the grade Chinese buyers switched to. “The 2017 policies led local prices up. Then the import prices flat-lined for most of 2018. Now they’re largely in line with each other, which tells us there’s not upwards or downwards pressure on NBSK,” Fortin said. China’s local NBSK prices have a bigger impact on international prices than BHK grades, he added. According to RISI’s UM Paper, about 45% of global NBSK shipments to China are sold through traders. In contrast, only 15% of China’s BHK market is sold through traders. On the supply side, a lack of new bleached softwood kraft (BSK) capacity expansions over the near term will keep pulp markets tight for the next year, Fortin said. Despite large capacity expansions that started up from 2017 to 2018, unexpected supply disruptions and an apparent willingness among producers to take production slow backs has helped to counterbalance new supply, he added. Downtime counters ramp-ups. Major global ramp-ups included the 2 million tonnes/yr OKI mill in Indonesia, and new production lines at Fibria’s Tres Lagoas mill Brazil and Metsa Fibre’s line in Finland. Also, SCA ramped up its revamped Ostrand, Sweden mill after doubling capacity to 900,000 tonnes/yr, which resulted in the firm entering US pulp markets in a rare reversal of trade flows (Oct. 5, p. 7). Typically, Canadian NBSK producers export to Europe but the continent’s producers rarely export large volumes to the USA, such as the 100,000 tonnes/yr SCA plans. Unexpected downtime in 2018 has had a major impact on global pulp markets, with recent hurricanes in the US East and recovery boiler repairs at Canfor Pulp only the most recent ones. Production throughout the Nordic countries due to warm weather also crimped output earlier this year, especially for NBSK, Fortin noted. “Year-to-date, we are ahead of where we were in 2017,” said Fortin, regarding unexpected downtime. He estimated that total market pulp output losses due to unexpected or proactive downtime totaled 1.257 million tonnes worldwide through third-quarter 2018. Fluff pulp demand. The 6.9 million tonnes/yr global fluff pulp market will continue to grow at 3-4% annually, driven by emerging market demand that will account for 89% of demand growth and lead to a need for new capacity, RISI pulp economist Patrick Cavanagh said in a presentation on Oct. 12. Despite the need for more capacity, Cavanagh estimates that demand totaled 6.3 million in 2017 – about 600,000 tonnes less than installed capacity. Also, last month’s Hurricane Florence resulted in an estimated 35,000 tonnes of lost fluff production at four mills representing 19% of global capacity, according to a slide during Cavanagh’s presentation. The tonnage figure, which included three International Paper mills and one at Domtar, excludes the more recent Hurricane Michael that swept through the US Southeast a week ago.